Owl Creek Gazette: Our May 2017 Issue is Out and Ready to Read! 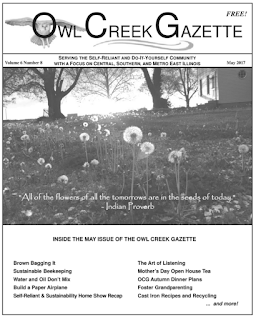 Our May 2017 Issue is Out and Ready to Read! 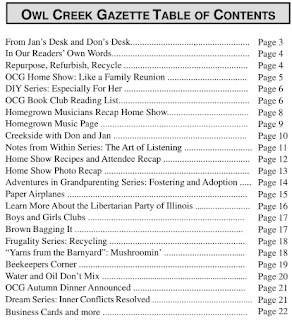 Yes ... you can read the May issue of the Owl Creek Gazette in print or online. 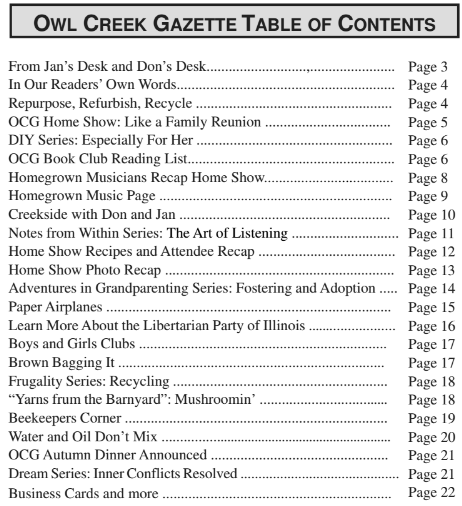 Update: We invite you to click on the Archived Issues page to begin your read!